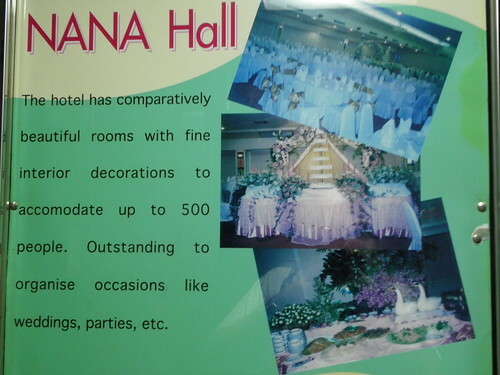 “Comparatively beautiful rooms”: is it a bad translation or are they just being honest? Bangkok December 2011, a photo by Count Zero 1959 on Flickr. Whatever it is, I cannot recommend this hotel at all. The rooms have all the charms of 1980s Army barracks rooms and the airco has only two settings: “Arctic” and “off”, neither of which is acceptable. Fortunately I only stayed in this hotel for half a day, until I could get on the plane back home.